She released a breath and offered a prayer up to all goddesses in the Aesir and Vanir. At last, a way to postpone the evil day with dignity. Somehow she’d discover what he truly wanted before she started believing that he wanted her. She could use this to buy time and find a solution to the mess. It wasn’t over until the ceremony was done. “Borrow one.” A glint showed in his eyes as he raked her form. “Or come naked. But I marry a woman. Today." Right I am in Year three Month 8, the last two days. Things are going slower because I took the decision (or rather my body did!) that 6x a week of both the MS and DC was too much. I have gone to 5x week for the MS and DC plus a longer DC session on the sixth day. The seventh day remains a rest day. And my body has thanked me. #Months 7 - 9 are no joke. I am finding them very difficult. there is no added equipment but TA is really working you. I am still undecided about Year 4. I have heard rumours that it is v hard -- thigh weights and back weights. Plus the usual problems with discs not working etc. And I am pretty satisfied with my body now. I do have three years worth of workouts that I can repeat. As I have still have awhile to go on Y3, the ultimate decision is a ways off. The editing is not the best on 3.3 but the exercises do get into my muscles. I can feel it in my abs. It remains one of the stress busters I know and my life is currently full of stress. Yesterday, I realised what the universe was saying to me. I accepted the message back on 23 October when I went for the pixie cut but now the universe had a different message. Therefore I am stopping my Nanowrimo project as it doesn't suit my current needs. That being said, I did learn a lot. 1. Caffeine free makes me efficient. 2. Limiting social media until after I have done my words makes me efficient. 3. I like to go back and tinker after I have written a few chapters. 4. My best time to write is early and then by about three my head spins. So while this one at 23k will be living on my computer and nowhere else, I'm glad I did it. What I will be focusing on is a brand new project which is a departure for me but something I really want to write and in the way I want to write it. I started my month's challenge of writing with all guns blazing and managed 17,500 words in 6 days which is great for me. Then last Friday morning my revs for Summer of Her Viking Warrior hit. They were doable -- lots of consistency and clarity questions. So I put the Wip to one side and worked on the revs. I have finished them now and sent them back to my editor. I have also done the Art Fact Sheet. So fingers crossed, I have made this book strong enough. It is one which is close to my heart. So now it is back to the NaNoWriMo and trying to get it done. It is a bit of shift gears and remember where I was moment. But I have time to reach 66 k by the end of the month -- she says optimistically. 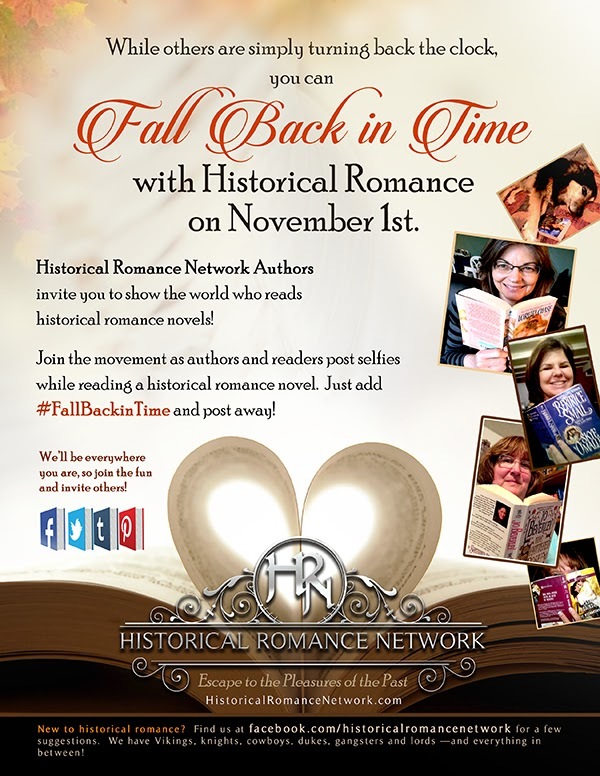 This is me with one of the books which made me want to write Historical Romance. It is one of my great comfort reads. These Old Shades by Georgette Heyer. Hopefully lots of people will join in! November is nearly upon us and this in the writing world means National Novel Writing Month. It is all about writing the first draft of a novel in a month. (Not the draft you will submit but the first draft -- they are vrey different kettle of fish). I have agreed to take part with two others from the Pink Heart Society. So I have gone and actually signed up for NaNoWriMo It is only 50k. This is slightly huge. Mostly I get a rabbit in the headlight feeling when I say something about doing a novel this quickly. But I am putting this on record as I want to get this novel done and dusted. I want to get back to writing several thousand words a day. The main caveat is that IF my editor gets back to me with her thoughts -- that one takes precedence and all bets are off. Summer is under contract after all and I write for money. It is my day job. So I am going to start the manuscript which comes before the M&B that I originally thought I would write at the beginning of the month. Basically the characters decided it for me and I am not a writer to allow good narrative action to go to waste. So right now, for the next 5 days (I have to start writing on 1 Nov) I have to make sure my planning is up to scratch. I am more a pantser in many ways but there are certain bits which need to be done. I know I should be less bouncy than I am and do AN event but I am far too excited!!! Legendary shield maiden Sayrid Avildottar will marry no man unless he first defeats her in combat. And in powerful sea-king Hrolf Eymundsson she has finally met her match. As a side note I appear to be channeling pixie cut hair and so no prizes for guessing how my hair is going to be cut come Thursday. 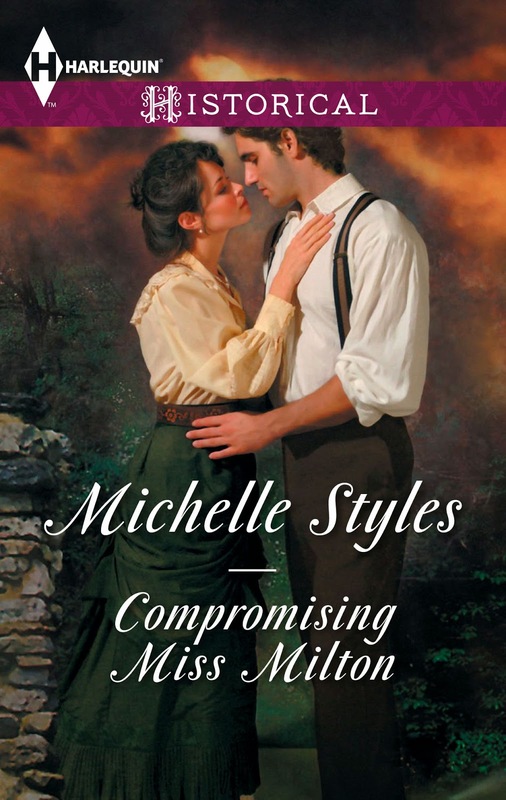 Yesterday saw the release of my Victorian trio -To Marry a Matchmaker, Compromising Miss Milton and Breaking the Governess's Rules in the North American market. Cue banners and trumpets. I have waited a long time for this to happen. Currently I am working on two projects while waiting to hear my editor's thoughts about Summer of Her Viking Warrior. The only really successful approach to keep the Crows of Doubt at bay is to write another book or several books. IN short to become excited about something else. My first project is a historical fiction project set in the 7th century. It is on an epic scale and requires an epic amount of research. I need to get things straight in my head. There is much which has been lost and will probably never be found. We are not talking 7 kingdoms but many kingdoms and the written historical record starts about the time I want to focus on. Fascinating but frustrating. Where precisely was the decisive battle of Degsastan which put an end to Dal Raidic ambitions in England for over 130 years... It will be interesting to see if I can bring it to life. My second project is a more conventional M&B Viking set historical but this time in the Western Isles. I loved visiting Islay in September. Very little remains of their Viking heritage (apparently Colonsay is much better) but it is utterly fascinating. The Vikings did not just raid, they came and stayed. And the land being the land, it grew into their very souls and the Vikings became Gallowglass -- foreign Gaels. It is where the term Galloway comes from. Somerled who wrestled the Isles from the King of Man (and Norwegian control) was at least half Norse. It is thought with a Norse mother and a Celtic father (some dispute this saying he was fully Norse). The full integration of the Western Isles into Scotland didn't really happen until after 1607. Some might it never has as the Western Isles maintain their own identity. It is when you are there that you can a sense of the Sea Kingdom that once was. But again it is not a very well researched time. I think mostly people prefer to concentrate on the Celts or Gaels, forgetting that the Vikings did really shape Scotland. And I have to keep remembering that Scots in the 9th century meant Irish, not where we think of it today. And the kilt or short kilt was invented in 1707 by Thomas Rawlinson, an Englishman who had moved his factory up North to back take advantage of the fuel. However his workers were getting too hot and discarding their Great kilts. or getting burnt. So the short kilt was a compromise. It proved so popular that it soon took off. The great kilt dates from the late medieval period. Apparently one battle was known as the battle of the shirts as it was too hot to fight in the Great kilt and so they were discarded. I am afraid the mental image amused me. And this is the US cover for Breaking the Governess's Rules. More of a Regency feel than an early Victorian but still a decent feel about. But Jonathon will get to the bottom of Louisa’s disappearance – and he’ll enjoy breaking a few of her rules along the way…! The US cover for Compromising Miss Milton (to be released as an ebook in the US --finally in October 2014). One of my least favourite covers. The clinch is fine , but the clothes and the hair! The year is 1837, not 1893. Women did not wear Gibson Girl style hair then. Neither did they wear bustles. I spent ages scouring through various books etc to find appropriate clothing and hairstyles but these were ignored. When it was out originally it got listed by Amazon on their Western list. It is set in Cumberland at Gilsland Spa. Buttoned-up governess Daisy Milton buries dreams of marriage and family life in order to support her sister and orphaned niece. But maddeningly attractive Adam, Viscount Ravensworth, is one distraction that shakes Daisy’s safe, stable existence. Now ghosts from Adam’s past in India threaten Daisy’s future. Just what will it take to convince a tightly-laced miss to forgo society’s strict code of conduct…and come undone in the arms of a reformed rake? As Saved by the Viking Warrior comes out on 19th August, I am doing a Goodreads giveaway. Events have rather over taken me which is the reason for the long silence. Long story but my father in law is living with us now and my mother in law who is later stage dementia has been taken into care. I am slowly writing my current wip but it is slow going. Not entirely sure why Ash is ginger but I love the cover model for Kara. Overall it has a good feel.